If you are working in a professional environment that has a lot to do with sending and receiving of Microsoft Office files, then it is safe to say that you have sent and received files that had sensitive information on them. However, what happens when you forget the password of the file you are supposed to send or to receive? 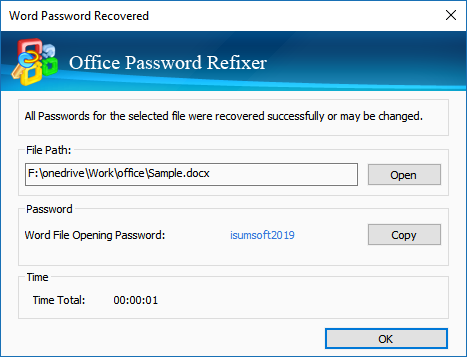 This is where the iSumsoft Office Password Refixer comes into play, and it happens to be one of the best office password recovery software in 2019. The iSumsoft Office Password Refixer is a valuable tool if you are experiencing a loss of Office file passwords. 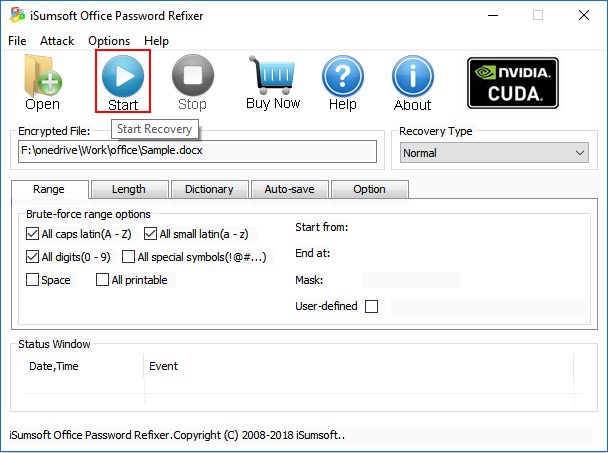 It is an all-in-one password recovery tool that instantly restores or resets Word (*.doc, *.docx) documents, Excel (*.xls, *.xlsx) documents and PowerPoint (*.ppt,*).pptx ) File password, etc. 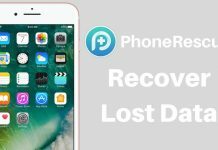 With these password recovery tools, you will be able to easily recover your document’s password and access its contents. The software has all the relevant features you need to make your entire experience a breeze. However, for a better understanding, we mention them below. The software is flexible enough to give you a relatively easy experience of recovering passwords regardless of the file format. 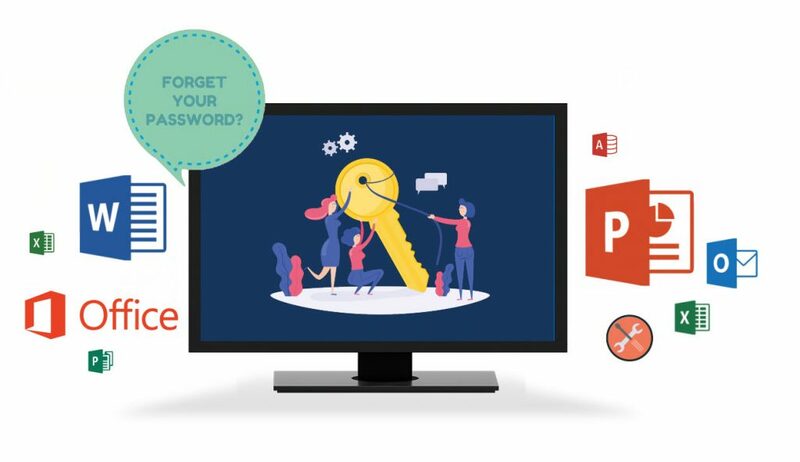 Instant access to password-protected Office (97-2019) documents (Word, Excel, PPT, Outlook, etc.) in the Microsoft Office suite. This Office Password Recovery tool uses the uniquely optimized code to provide the highest password recovery speed on any computer. With advanced technology, AMD and NVIDIA graphics can increase the search speed of each card by 40 times. 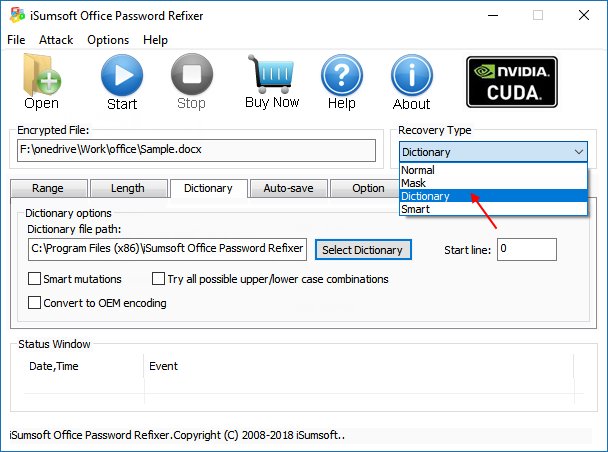 Office Password Refixer provides three types of password recovery: Dictionary, Brute-force with Mask and Normal to complete Office password recovery. Users can choose the right type of attack according to their own situation. One thing many people are concerned about is data loss. The benefit of iSumsoft Office Password Refixer is that you don’t have to worry about losing data after the recovery is complete, and it’s completely safe and without any problems. You can use the software with ease because the whole process is very straightforward in. The first step is to obviously download and install the software. After installation, start it. Then you need to import the files you want to unlock. To do this, click “Open”. Then, choose the right type of attack and adjust the settings to suit your situation. There are 4 options: Normal, Mask, Dictionary and Smart. Here we will go with either Dictionary or Mask as recommended by the developer. Once all the parameters have been set, click the “Start” button to start the recovery. That’s it. With these easy steps, you can easily recover passwords for any Microsoft Office file. Keep in mind that this process does take time because it is based on brute force attacks or guessing passwords. The better the hardware of your computer, the faster the software will retrieve the password. iSumsoft Office Password Refixer is affordable compared to competing products, and the lifetime version is available for $29.95, with free future updates and technical support. There is nothing new about forgetting a password. Be it an MS Office file, or the password to your computer, or to some social media account. The real trial comes when you have to recover it. Thanks to iSumsoft’s Office password refixer, it’s much easier to recover passwords now. The software works fine and gets the job done. However, the only downside is that slower hardware may take longer to unlock files because it uses CPU to find passwords and unlock files. Rest assured, it works, and it works really well. Supports all Microsoft Office formats. Slower computers take longer time.